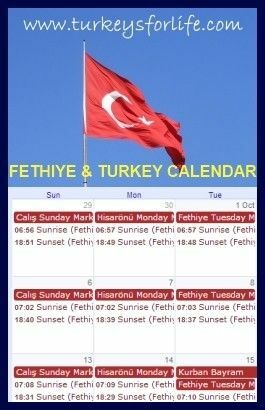 Turkey ▸ Fethiye ▸ Fethiye News Updates ▸ Fethiye In February – What’s The Story? Click into the January post and you can really see how fast the team are working on this. It’s got to be said, the camps are well and truly divided on this one between the fans and the non-fans. It looks as though the Çalış to Fethiye water taxis will still be leaving from the same point (by the bridge in the distance) and, apparently, there are going to be plants and a walkway for pedestrians. This photo is taken from the bridge. The stone wall stops here and the more familiar scenery of the reeds is still there as the canal heads towards the sea. This has got to be one of the mildest winters we can remember in all the time we’ve lived in Fethiye. Our heating bills are minimal – usually, the fire is in overdrive, but, for most of February, it’s stood idle, getting in the way, more than anything. It’s winter, it’s Fethiye and that can only mean one thing – smash a restaurant up and start all over again. Whereas some people think, “Give it a lick of paint and it’ll be fine for another couple of years or so,” Fethiye likes to go the whole caboodle. Sites get covered in black or green mesh boundaries and ‘noise’ occurs from within. This photo is what was Kardelen Restaurant along the harbour. To be fair, it was looking like if a strong gust of wind came along, it was going to tumble. The whole thing has been knocked down and something is replacing it…we know not what. Let’s see. As for Shaka Restaurant, that’s also currently swathed in the same black mesh. Shaka is still open, but for the moment it’s next door in what was Veranda. It looks as though what was Shaka is being made to look like what was Veranda and the whole thing is going to reopen as Shaka but looking like Veranda. Got all that? We’re surmising here, of course, just watching the building take shape as we pass by. We’ll find out for definite when all is finished. The joy of Fethiye in winter! Wonder how many football teams in Turkey have solar panels on the roof of their stands? Well, we do at Fethiyespor. The stadium is packed at the moment for the home matches. Fethiyespor have lost their last two matches and have now a got a tough, tough battle to stay in PTT 1. Lig…but, despite losing yesterday, they played well and we’re still resolute that they can stay put. Good for Fethiye as a whole if they can. The next home game is Saturday 1st March (Please note, kick off has been changed to 14:00 from 16:00). If you do want to go, make sure you get tickets beforehand from the Fethiyespor store and get to the stadium early on the day. February was the month where we finally ate what everyone has been telling us to eat for an age – we had a Valentine’s ciğer dürüm at Mozaik Bahçe. We also wrote a long overdue post on one of our regular haunts, Denizatı Restaurant. Both Mozaik and Denizatı feature on our Fethiye Eating & Drinking page and don’t forget, we’ve also got all these places mapped on our Pinterest board, now, too. Does Fethiye resound with pneumatic drills in February? Bodrum does.